This 3-tonne endless lifting sling is manufactured from a polyester webbing with a polyester filling for ease of handling. 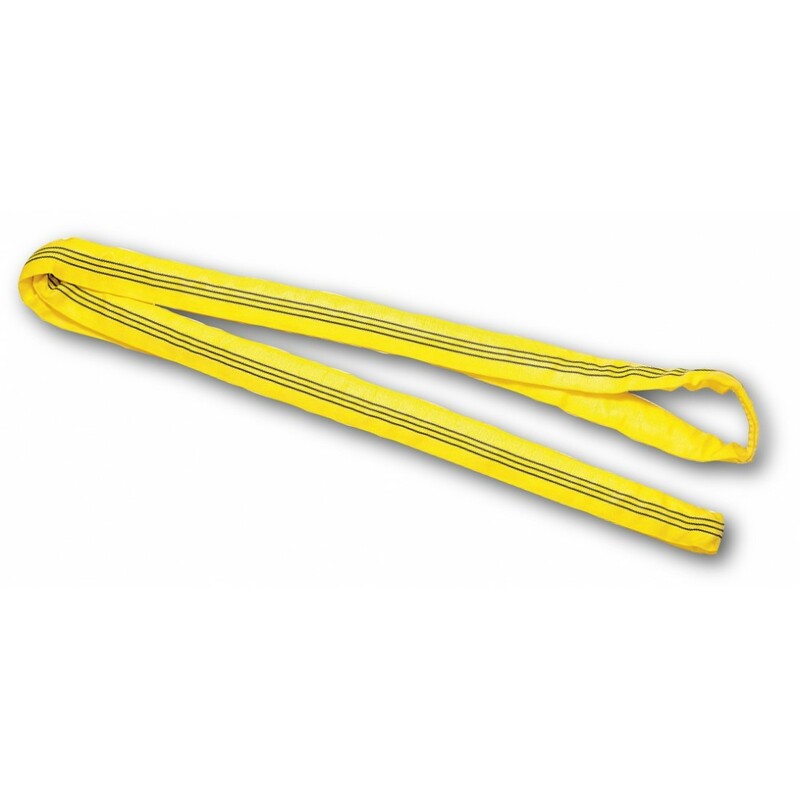 Available in a variety of lengths, these slings can be utilised for lowering, load fastening, pulling and towing applications. Fully compliant to EN1492-1 (textile slings) and each with a unique serial number for tractability. Also, due the clack demarcation markers down the full length of the webbing determines the strength rating (1 stripe=1 ton, 2 stripes =2 ton and so on).